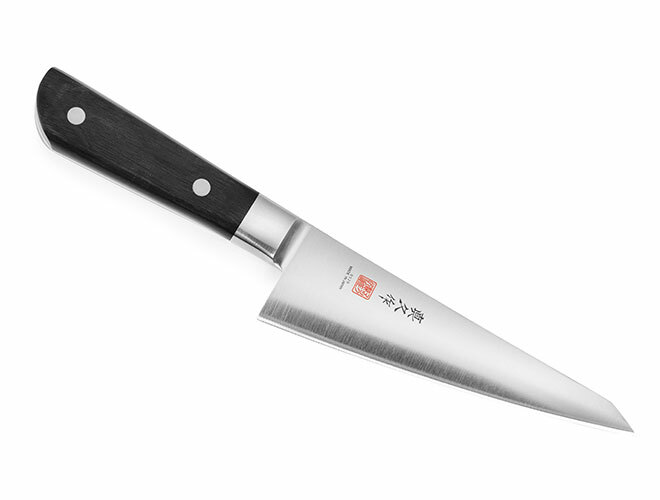 The Mac Honesuki Boning Knife is a traditional Japanese style poultry boning knife. 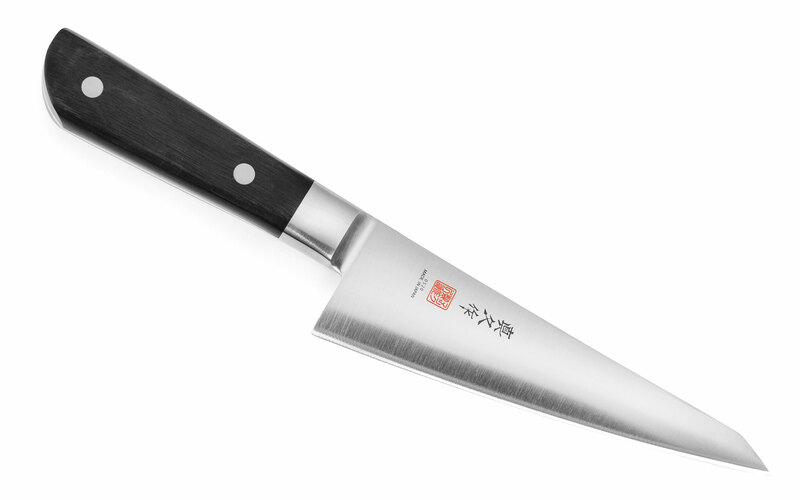 Features a stout blade with a single-bevel edge and a stiff, pointed tip. The thick 3.0mm stiff blade has enough backbone to drive the knife through chicken joints or small fish bones. The pointed tip allows you to remove meat around bones. Made in Japan with a 25-year warranty.